Add this to my basket without a personal message. Using named day delivery: Order this product within 5 hrs and 19 mins for guaranteed Saturday delivery. 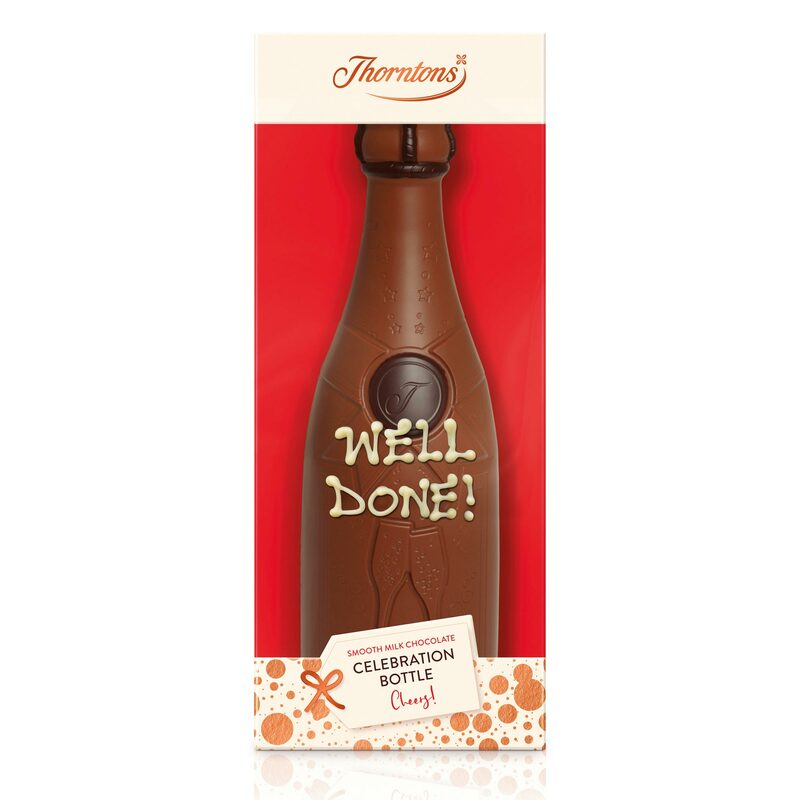 For a special celebration, whether that’s a birthday, anniversary or great big achievement, our large celebration bottle is the perfect way to pop their cork. 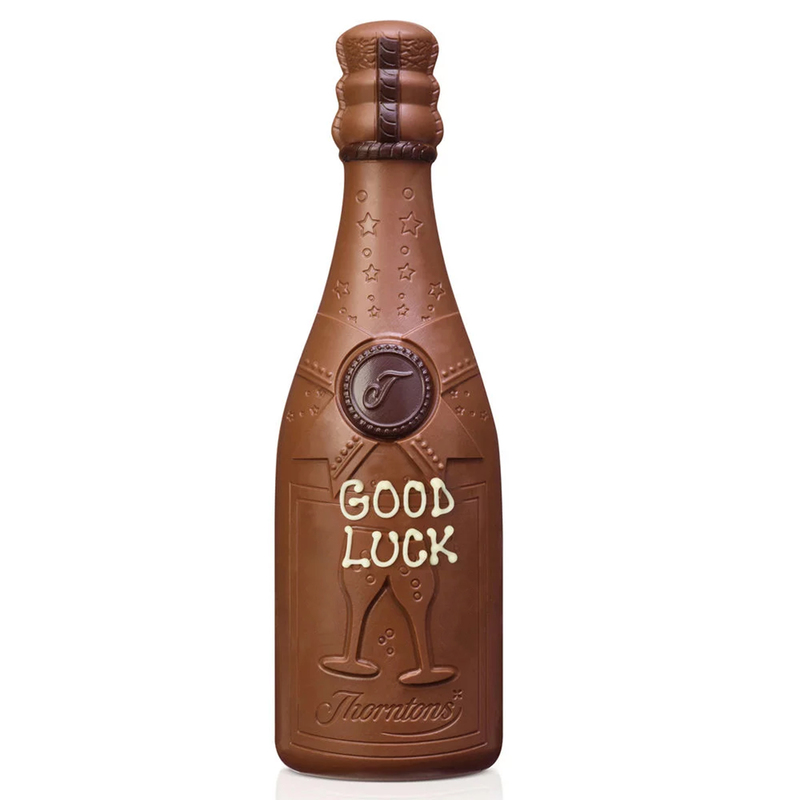 Add a little extra fizz with a personalised message, hand iced by our skilled experts in store just for your loved one. 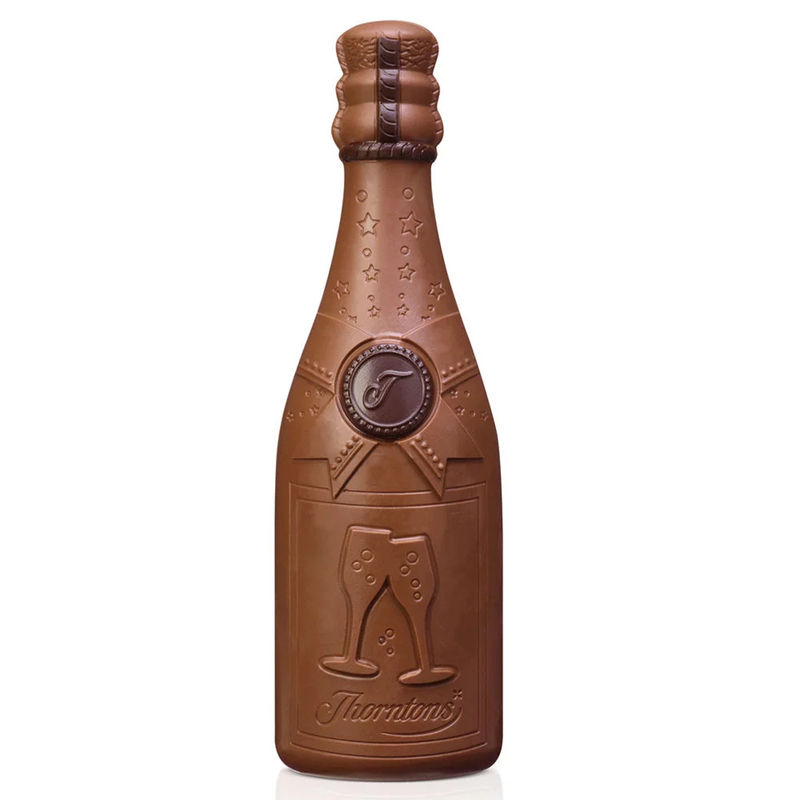 At Thorntons, there’s a chocolate model for every generation - from sweet gifts for the kids to celebratory showstoppers for the grown-ups. And what’s extra special is that we can add a hand-iced personal message to every figure for free. Dark chocolate contains: cocoa solids 72% minimum. Sugar, dried whole MILK, cocoa butter, cocoa mass, MILK fat, emulsifier (SOYA lecithin), cocoa powder, flavouring.